Chelsea are readying a bid for Read Madrid star Pepe, as Andre Villas-Boas aims to create some competition for John Terry and David Luiz. The Portuguese centre-half may look for a move if Real do not match his contract demands - the Portuguese defender is reportedly worth £4.5 million a year in salaries - which has opened up the possibility of a switch to play under his fellow-countryman. 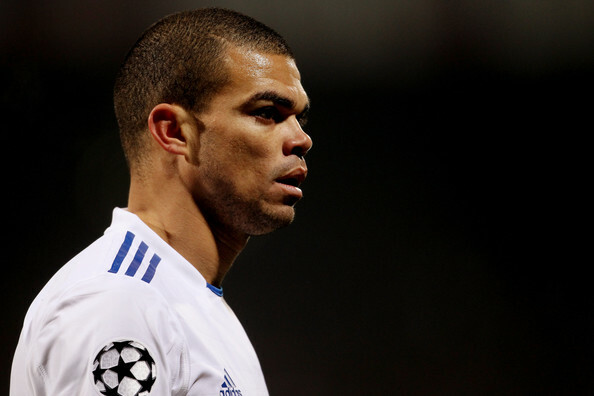 But there are hurdles in the deal, with Villas-Boas reportedly seeing Pepe as more of a holding midfielder than the star’s preferred position as a central defender. It will pave the way for plenty of activity in the next few weeks as the new boss begins to ­exercise extraordinary power given to him by club owner Roman Abramovich. The new Chelsea boss has been given a free hand to do what he wants with the squad he was left by Carlo Ancelotti, with Abramovich effectively conceding he is not the right man to make football decisions. Abramovich has decided to throw his backing entirely behind the youngest manager in the Premier League, believing the 33-year-old Portuguese will deliver not just winning football but an expansive, attacking approach.